Students Graduate from Ben Bronz Academy - Ben Bronz Foundation, Inc.
Ben Bronz Academy, a private day school in West Hartford, celebrated the achievements and congratulated its three graduates on Thursday night. 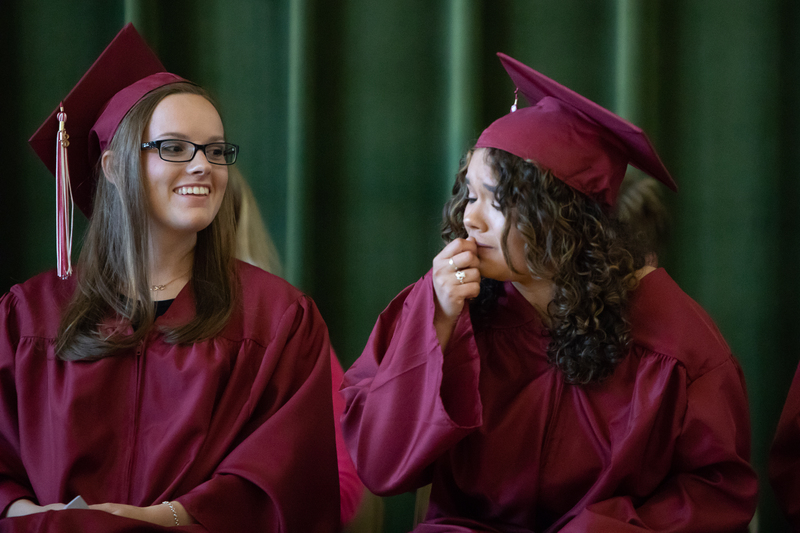 Ben Bronz Academy bade farewell to three graduates and congratulated its students on a year of accomplishments at a tearful awards ceremony and graduation on Thursday, June 14 at West Hartford Town Hall. “Ben Bronz Academy’s awards night and graduation ceremony is one of my favorite events during the school year. It allows us to acknowledge the hard work that our students put in on a daily basis that create the larger gains in one year. We are able to showcase the students’ perseverance and success when tackling academic areas that are difficult for them. In my opinion, the ceremony brings our community closer together because students and parents are reminded that their dreams are achievable and that there is hope. Previous students also come back to share their new experiences and successes with their mediators and friends,” said Christina Lamphere, education director at Ben Bronz Academy. Ben Bronz Academy is a special education, private day school program with a primary focus on the individual student. At this state-approved program, students in grades 2-12 have previously struggled in school because of learning differences, specifically Dyslexia, Dysgraphia, Central Auditory Processing Disorder, Executive Functioning Disorder and Autism Spectrum Disorders, to name a few. Instruction is based on what each student needs to be successful and works to remediate academic skills so that students can return to their public school. Not only do students learn about academics, but they also work to develop a toolbox of skills to help with planning, problem-solving, communication and self-advocacy. The end-of-year awards ceremony, held at West Hartford Town Hall, was a chance for students to be rewarded for their efforts throughout the school year. Students were given awards for “most improved” in all subject areas. In addition, one student from each grade level group (i.e. Lower School, Middle School, and Upper School) was awarded the “Most Improved Student” award and given a trophy. As these awards were handed out, students walked across the stage with beaming smiles and, sometimes, even tears. For many students at Ben Bronz Academy, this was the first time in their academic careers that they had experienced true, measurable academic success. 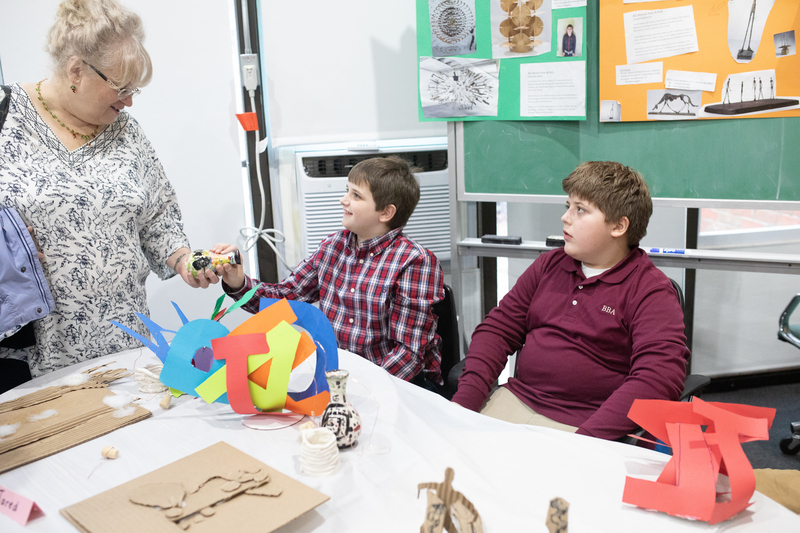 There wasn’t a dry eye in the house as family members, parents and faculty watched students receive praise for mindful work, making connections in their learning, heightened understanding of concepts, increased reading fluency scores and comprehension, and improvements in writing, math, and decoding. 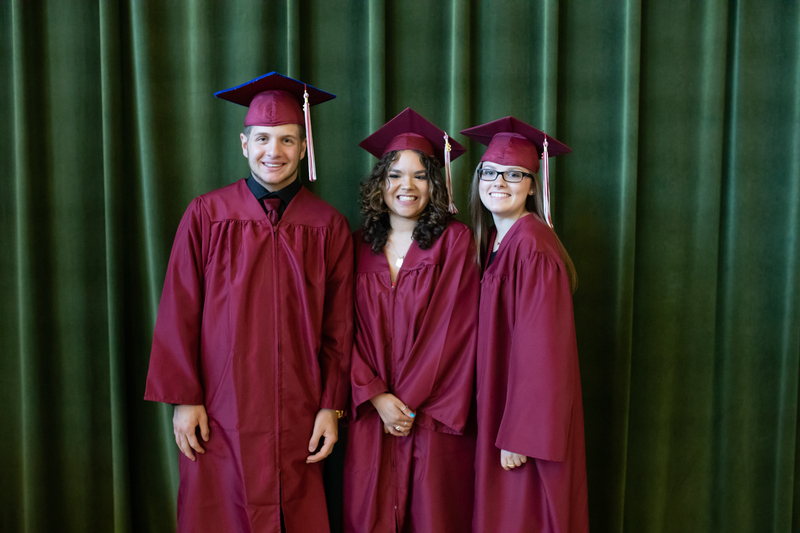 As well as an awards ceremony, this culminating celebration was an emotional tribute to three students who graduated high school this year: Jonathon Fuda, Rebecca Jordan-Parker, and Megan Williams. Fuda, from Meriden, CT, entered Ben Bronz Academy as a lower school student. He has been at the school for eight years. He has had every mediator (teacher) at the school, at one point or another, and has completed more fluencies, fluency day trips, and research weeks than any other student. Fuda is a powerful force in the building, according to Education Director Christina Lamphere. He is unafraid to share his opinions and thoughts. He is a strong self-advocate and he is a determined young man. “Jon’s focus in the high school years at BBA has been business focused. He has been participating in a Personalized Learning Experience – Business Internship at his home district with Platt High School for the past two years. He has been learning all aspects of his family’s business to apply these skills to full time employment. Jon plans to enter the workforce at Fuda Construction in Meriden,” said Michelle Turek, head mediator at Ben Bronz Academy. Jordan-Parker, from Somers, CT, started Ben Bronz Academy as a middle school student and has been with the school for six years, and is president of the student body on the student council. She is always determined to do her best. She has been a leader with the Lower School students. Williams, from Willington, CT, has been at Ben Bronz Academy for three years. According to Lamphere, Williams has a quiet, but strong presence in the building. She is a leader for the Lower School students, a strong advocate for her friends and a determined and diligent young woman. “Megan was recognized recently as an award recipient by the Willington Scholarship Foundation She is an active student with interests in biking, snowboarding, photography, drawing and baking. In addition to her studies, Megan is extremely focused on giving back to her community. She participates in summer mission trips through the Presbyterian Church of Manchester Youth Group rebuilding houses in West Virginia. These mission experiences are a passion of Megan. She lights up when she speaks about her work. Megan is an empathetic and compassionate person. More importantly, Megan is driven and goal-oriented. Megan plans to attend Manchester Community College in next semester,” said Turek. Throughout the years, Ben Bronz Academy has seen hundreds of students reach their academic potential while at the Academy. This year, many of the students were acknowledged as ready to move onto other placements in their regular education public school or other private schools. These students now have the necessary tools to be successful in their academic career. “It is important to acknowledge our students who are moving on from Ben Bronz Academy. They are ready to take on a new environment with a toolbox filled with skills to help not only in the academic areas, but also in self-advocacy. Many of the students who leave us have closed the gap in several of the academic areas and are ready for the challenge of a larger learning environment. Many of them also want to add sports, art, and music back into their educational experiences as they get older and really begin to understand their individual interests. While we would love to have each of our students stay, our mission is to have them work to return to a lesser restrictive environment and to continue to be successful while building their dreams, Lamphere said. 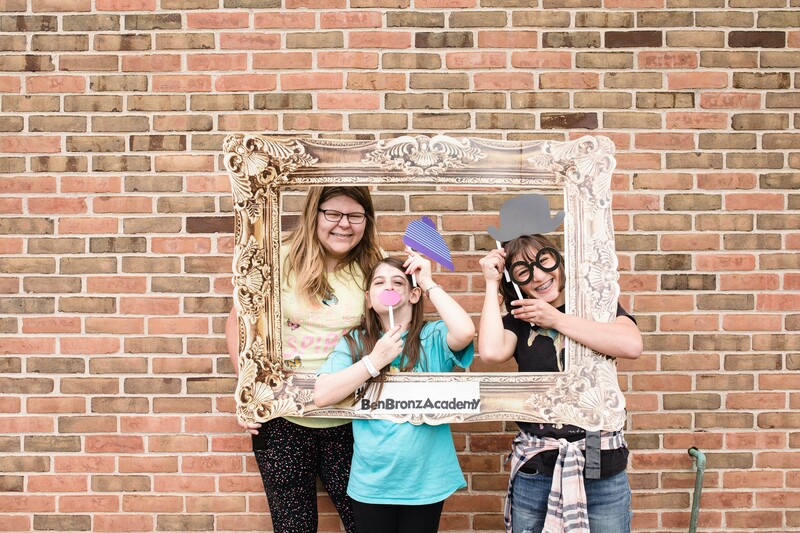 Ben Bronz Academy is a small, tight-knit community that helps students build confidence in themselves (academically and socially), even when they have previously struggled in school. The greatest strength of the program is the focus on the individual student. All of the people involved (parents, teachers, staff and other stakeholders) want the students to achieve what they are capable of and accomplish their dreams, whatever those may be. Ben Bronz mediators’ hope is that students, given the right skills, strategies, and resources, will be successful while they are at the school, and most importantly, when they leave Ben Bronz Academy. Graduation and Awards night at Ben Bronz Academy was a true recognition of all that its students can do! Ben Bronz Foundation, Inc. is the parent organization of Ben Bronz Academy and The Learning Incentive. After more than 30 years at our current location, we will be moving in June to 11 Wampanoag Dr., West Hartford, CT. If you are interested in learning more about Ben Bronz Foundation, Inc. and our programs, Ben Bronz Academy and The Learning Incentive, please visit our websites: www.benbronzfoundation.org, www.benbronzacademy.org or www.learningincentive.org or contact Executive Director Kim Holley at 860-236-5807 or kim@benbronzacademy.org.